The Catalan crisis took a new judicial and international turn on Thursday (2 November) when eight former regional ministers were jailed and a European arrest warrant was poised to be issued against their leader Carles Puigdemont. 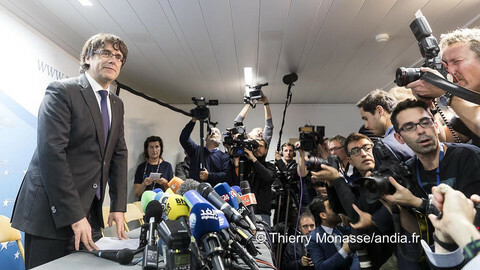 The warrant is expected to be issued on Friday, and an extradition request could follow, Puigdemont's lawyer Paul Bekaert said in Brussels. Puigdemont has been in the Belgian capital since Monday, where he has claimed to continue working as the "legitimate president" of Catalonia. He was dismissed last Friday (27 October), with all the Catalonia's regional government, when the Spanish government started to apply article 155 of the constitution in order to take back control of Catalonia, after the region's parliament declared its independence. Thirteen ex-members of the government, including Puigdemont, were charged on Monday with rebellion, sedition and embezzlement and risk up to 30 years in prison. A judge at the National Audience, Spain's high court of justice, argued on Thursday that Puigdemont "has publicly stated his intention of not appearing in court and has requested … to address the court via videolink, without offering any information about their location." 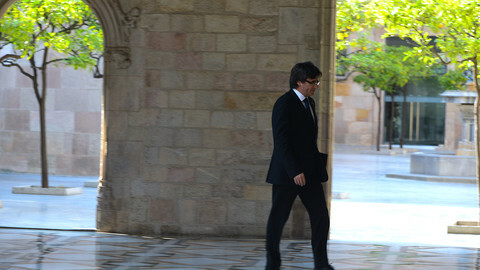 The warrant will also include four other ex-ministers who travelled to Belgium with Puigdemont. When the warrant is issued, Belgian authorities will be required to arrest the separatist leader. But he will be able to go to court to try to prevent or slow down his extradition. Bekaert told the Belgian VRT channel that Puigdemont "will stay" in Brussels. "He has said that he will fully cooperate with Belgian authorities during the procedure," the lawyer added. 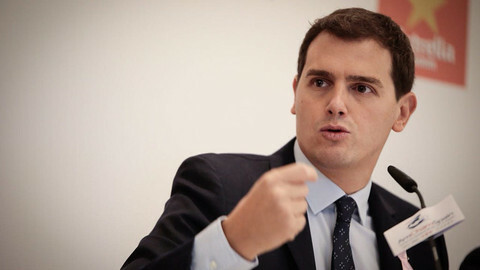 In Madrid, the former vice-president of the Catalan government, Oriol Junqueras, and seven other former ministers, including Raul Romeva who was in charge of external relations, were held in custody after a hearing with a judge in Madrid. The judge said that there was a risk that the politicians, who had come to Madrid to appear in court, could abscond. 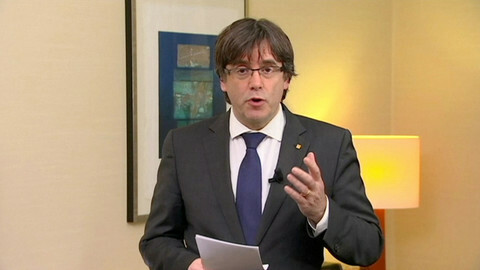 In a video message broadcast on Thursday evening by TV3 channel in Barcelona, Puigdemont called for the liberation of his colleagues, whom he described as "political prisoners." 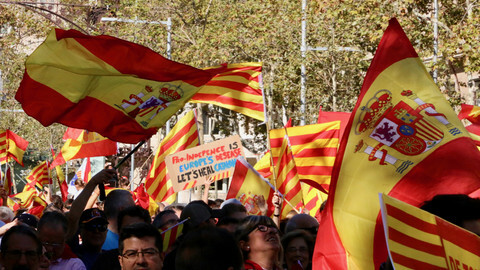 He accused Spanish authorities of "charging with an out of control fury and menacing everyone." 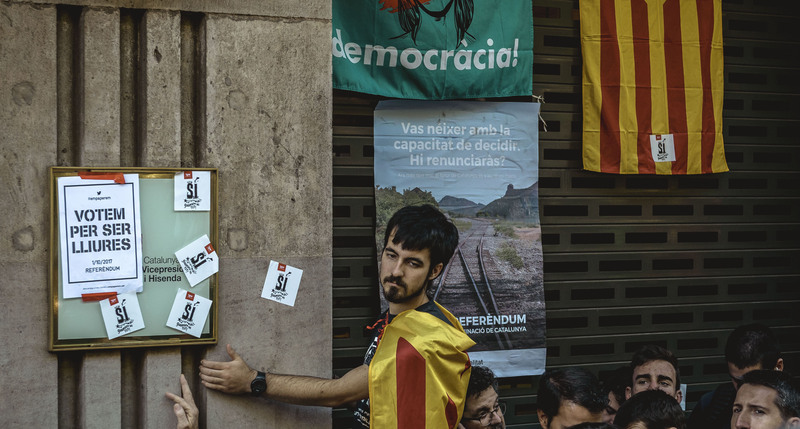 He said that the decision to jail politicians was a "coup against the 21 December elections" - the Catalan elections called by the Spanish government to replace the government - and that Spanish state was "putting itself out of the rule of law." In Barcelona, over 20,000 people took the street on Thursday night to protest against the jailing of the eight separatist leaders. At a city council meeting, Barcelona's mayor Ada Colau denounced "a very serious mistake" and "the worst attack on democracy" in Catalonia. The city council adopted a resolution that recognises as "the legitimate government of Catalonia" the regional executive issued from the September 2015 - the one led by Puigdemont and dismissed last week. The dismissal "increased the legitimacy of the Catalan institutions," said Colau, who is close to the radical left Podemos party. The council however did not recognise the 'Catalan Republic' proclaimed last week by the parliament. In Belgium, the leader of the Flemish regional government also criticised the decision to jail Puigdemont's colleagues. In a message posted on Twitter, Geert Bourgeois said that "jailing democratically-elected government leaders [was] more than bridge too far." 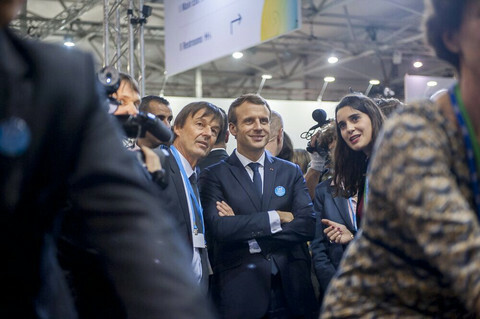 Bourgeois, who presides over Belgium's richest and most populous regions, hails from the Flemish nationalist N-VA party, which supports the Catalan separatists while being a key member of the Belgian government coalition. An N-VA member, asylum minister Theo Francken put prime minister Charles Michel in an awkward situation last Sunday, when he said that Puigdemont and other Catalan politicians could get asylum in Belgium. 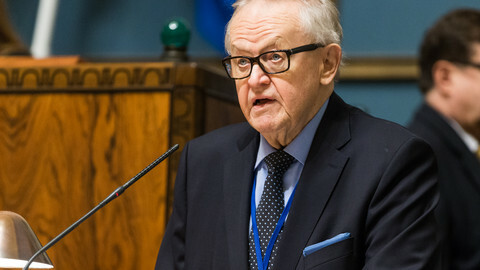 Michel later said that Puigdemont would be treated as "any European citizen, no more, no less", but N-VA's influence in the government could make difficult any decision over the five Catalan separatists' extradition. Another European nationalist leader, Scottish first minister Nicola Sturgeon, came to the support of the Catalan politicians. She said also on Twitter that "the disagreement about Catalonia's future .. should be resolved democratically - not by the jailing of political opponents."